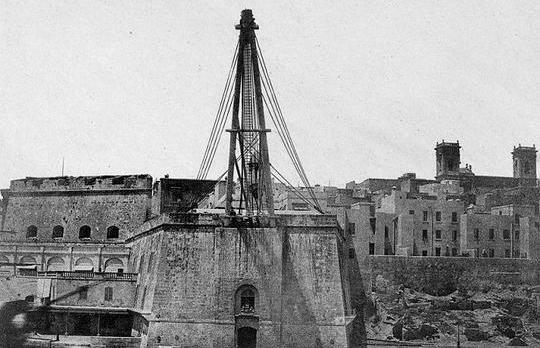 Following our publication late on Thursday of a photo showing the temporary sheer legs set up at the Macina for the Senglea Maritime Festival, architect Conrad Thake submitted this photograph of the Macina in its full glory. The sheerlegs were originally wooden and were replaced by bigger, iron sheer legs in 1864. They were dismantled in 1927. Sheer legs were used to hoist and lower masts onto sailing ships. The maritime festival will be held on Sunday.